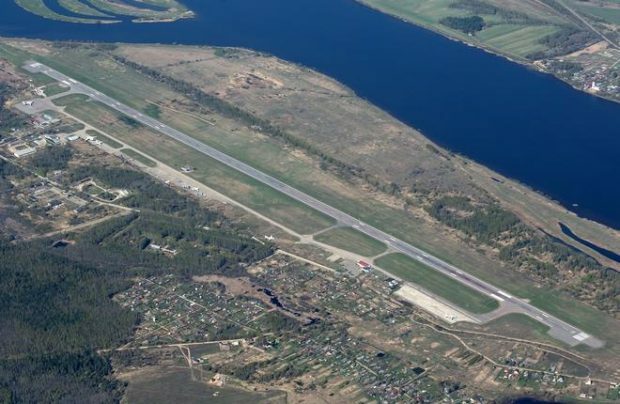 A line maintenance station for Western-built aircraft will be opened at Tunoshna airport serving Yaroslavl, Mikhail Trifonov, deputy director for engineering at Aerocargo+, announced at the recent Wings of the Future Forum. Trifonov said the Bermudan aviation authorities were already reviewing his company’s application for OTAR 145, which permits line maintenance and mitor repairs on several types of aircraft, including the Boeing 737 and 757. Aerocargo+ is interested in having a maintenance center at Tunoshna because it operates a Boeing 757-200 freighter to that airport. The operator employs a team of professional technicians and engineers that already holds an OTAR 39 certificate. Still, the Yaroslavl administration believes a modern maintenance station will help stimulate the airport’s development. Trifonov told Russian Aviation Insider that the line station at Tunoshna might become operational in early 2018. The OTAR 145 certificate will likely belong to a joint venture between the airport and Aerocago+. Further plans call for the station to obtain the Russian FAP-285 and EASA Part 145 approvals. Also under consideration is the construction of a base maintenance hangar for a single Boeing 757/767 by the end of 2018.